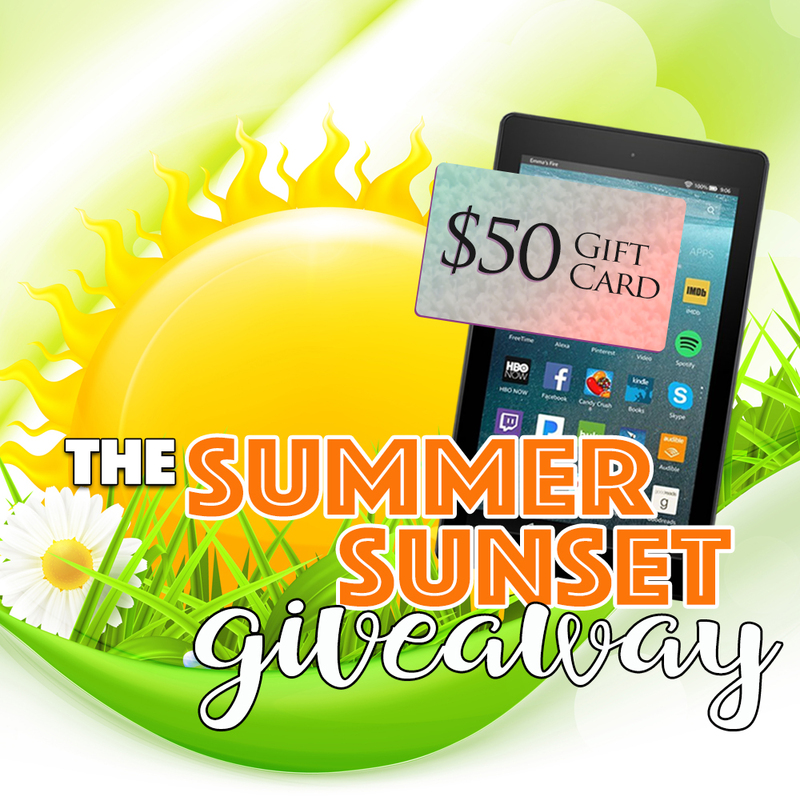 Grab some summer sun with a win in the Summer Sunset Giveaway! The summer sun is setting, and soon it will be time for pumpkin spice and fall colors. So, why not celebrate the changing seasons with a new giveaway? 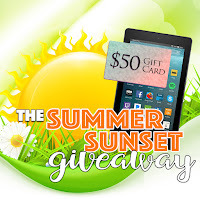 This time FIVE lucky winners will score their choice of a new Kindle Fire or a $50 gift card! That's not all though! In our Summer Sunset block party giveaway, you'll meet ELEVEN fantastic, friendly authors, each of whom has a free book to give you. Check out the color key below to easily find the authors in the genres that fit your interests best, have fun, and may luck be on your side!